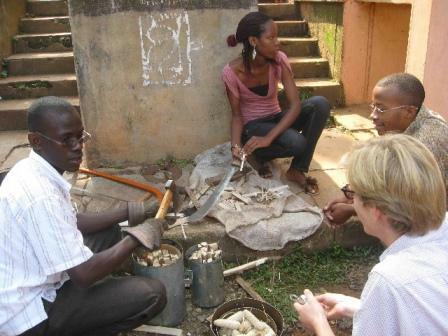 The first African ‘Stove Camp’ took place in Uganda with a focus on gasifier stoves. 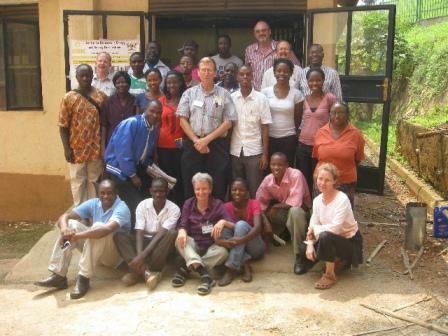 The camp was hosted by the Centre For Research in Energy and Energy Conservation (CREEC) at their facilities on the Campus of Makerere University in Kampala from 20-24 June 2011. On behalf of the Biomass Energy Foundation, Paul ‘Dr. TLUD’ Anderson from the US and Christa Roth from Germany shared their knowledge on gasification and its application for cooking purposes with 26 participants from Uganda, Kenya, South Africa and Mozambique. The first day was devoted to general introductions and practical experiments, so that the participants could see the practical application of the theoretical concepts for themselves. Many found the complicated theory easy to literally ‘grasp’ and understand. What really made this camp special was the enthusiasm of the participants that created the extraordinary spirit at the camp: from the second day onwards everybody got their hands dirty and got involved in building devices, lighting them, making charcoal briquettes from the biochar produced in the TLUD gasifiers, and all sorts of other experiments. One of the objectives of the camp was to come up with solutions that can be used for cooking and not only to burn biomass and make biochar. Quite a number of interesting designs emerged, including a removable TLUD-top placed on a charcoal stove that makes its own char for cooking. 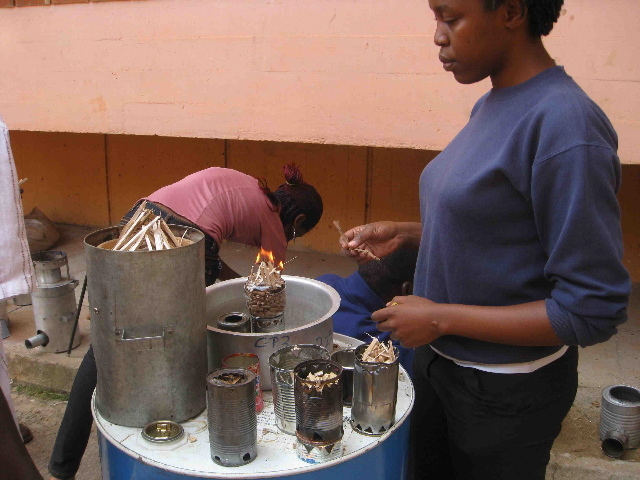 The use of the biochar in soil was not the key focus, instead the focus was on the efficient and clean use of solid biomass fuels in cookstoves. CREEC’s PEMS emissions measuring equipment was put to good use to test the emissions of the devices created during the camp. Special thanks go to Karsten Bechtel and his team at CREEC for the outstanding support to make this event come true. The camp in Uganda was the fourth in a series of BEF stove camps and biochar camp around the world. The next one is in the USA in Massachusetts on 8 – 12 August, with a biochar focus, but with plenty of gasifier cookstove content and activities. 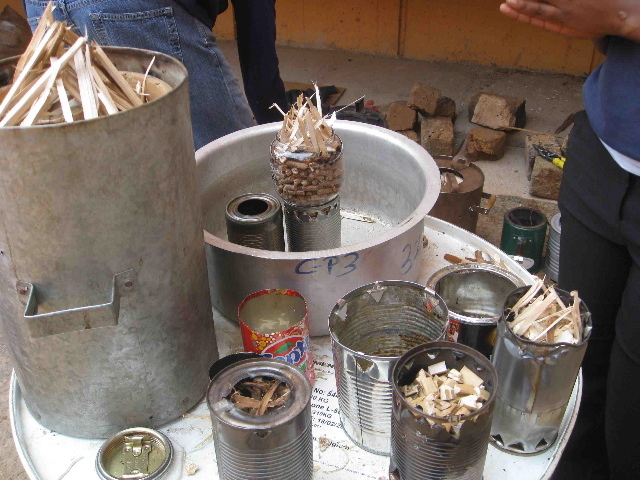 The subsequent event is scheduled to take place on 26 – 30 September at Zamorano University in Honduras, conducted in Spanish, and focused on cookstoves. Stove camp participants; all photos courtesy of Paul Anderson. Preparing the stoves for lighting. Demonstrating the principles of the stove design. Demonstrating the stoves at the open camp day.